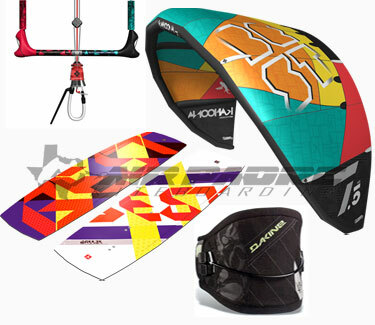 The 2013 Best Kiteboarding Package is the best way to get started in the sport of kiteboarding. The package includes everything you need to get out on the water to begin your progression. All products included in the package are brand new and beginner friendly. If you don't know exactly what you need to begin kitesurfing, then check out this equipment package. No need to purchase anything more, this package includes it all! 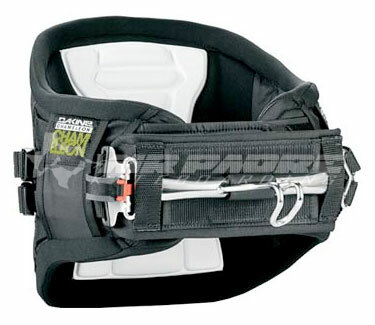 The Dakine Chameleon waist harness suites a wide variety of people within the sport of kiteboarding. The Chameleon harness has a softer feel yet has great back support with the integrated pre-curved P.E.B. and ES foam support. The Dakine Chameleon Waist Harness is a simple and comfortable harness, which helps increase the learning curve. 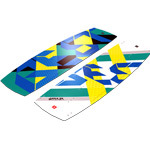 The Best Breeze light wind board has finally come of age. Our Torsion-X reinforcement provides the stiffness and feel that you need underfoot to keep a longer, wider board under control. The Step Rail design channels water flow under the board for maximum lift and reduced drag, so you and your Breeze riding friends will be planing away while other riders have to wait for more wind.